This recipe is inspired by something I ate at my in-laws house. 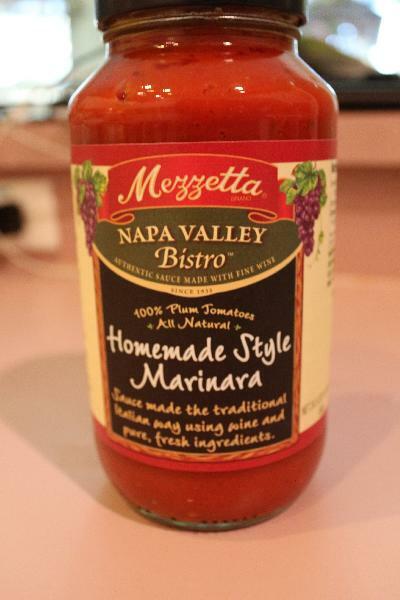 I loved the flavor of this marinara sauce when I was in NY. 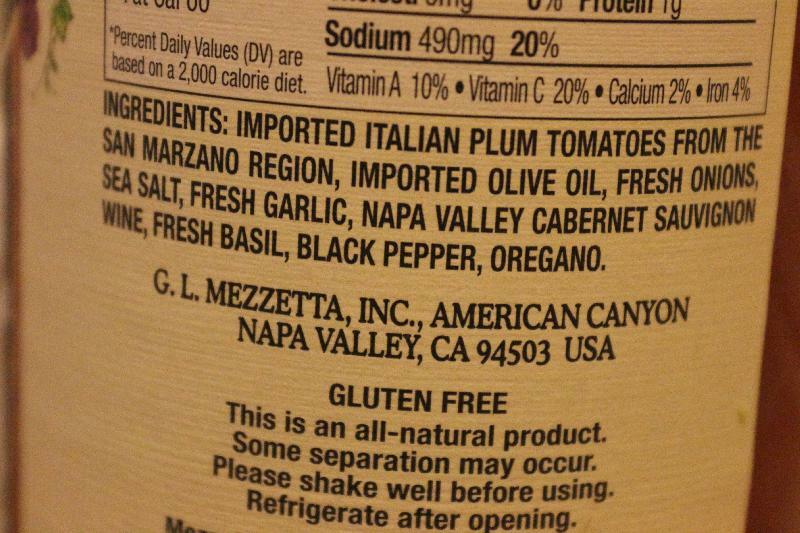 I also love it because the ingredients are all things I can pronounce. It does have a bit of sodium, so I use it sparingly. I found this at Publix. It is a bit more expensive, but well worth it. I would love to make my own sauce someday. The great thing about this is that you can add in whatever vegetables you have around. Cook the veggies until tender. While the veggies are cooking cut the spaghetti squash in half. Line a baking sheet with aluminum foil. Scoop out the seeds and the stringy material near them and discard. Drizzle olive oil on each half of the spaghetti squash. Place the spaghetti squash cut side down. Bake for about 40 minutes. When it is finished allow to sit for about 10 minutes. 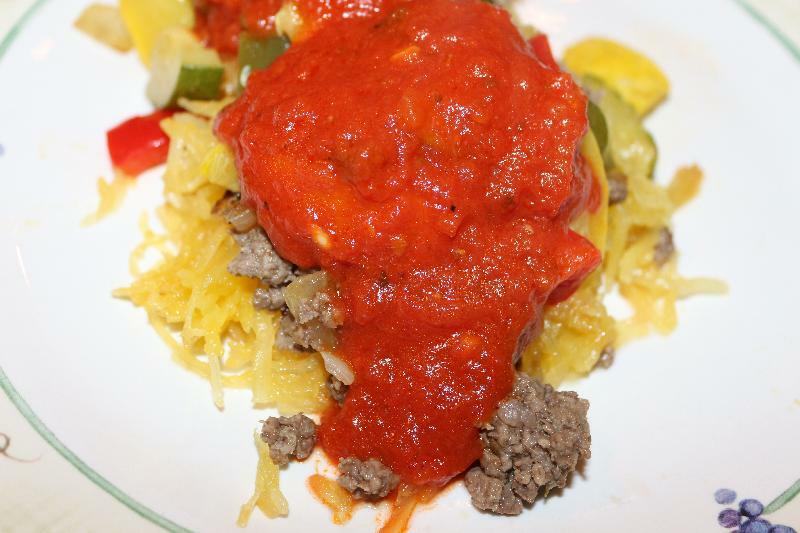 Then use a fork to pull out the strands of spaghetti squash. While the spaghetti squash is cooking begin browning the ground beef. Heat up the marinara sauce in a pan. When the ground beef is cooked drain the grease. Sprinkle in some oregano, Parm. cheese, and Romano cheese.